Kills a variety of flying insects both indoors and out. 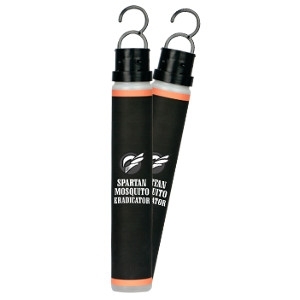 Indoors: Kills Flies, Gnats, Mosquitoes and Small Flying Moths. Outdoors: Use on Ornamental Plants (such as roses, azaleas, chrysanthemums, peonies & other plants) to Kill Aphids, White Flies, Japanese Beetles, Mealybugs, Leafhoppers & More. 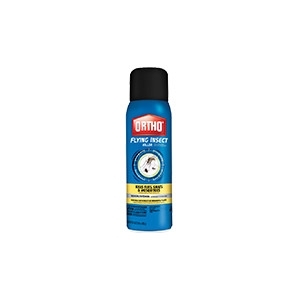 Kills Mosquitoes that May Transmit West Nile Virus. Kills By Contact! Kills Ants, Roaches, Spiders & Scorpions. Also Kills Stink Bugs & Asian Lady Beetles! Eliminates 99.9% of Household Germs* that Insects May Leave Behind. Won't Stain or Discolor. * Staphylococcus aureus (Staph) and Klebsiella pneumoniae on hard, non-porous, non-food contact surfaces. Organic certified (OMRI), Food Grade, Codex approved. Can be added to feed in an amount not to exceed2% of their total diet. A great product with a wide variety of uses. 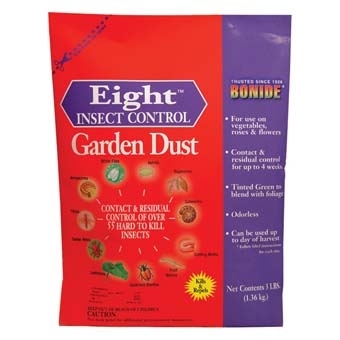 BONIDE EIGHT INSECT CONTROL GARDEN DUST 3LB. Permethrin 0.125 percent; An outstanding vegetable garden insecticide - killing and repelling virtually any insect pest common to home gardens. Also great for Japanese Beetles on roses and flowers. Colored green to blend with foliage! Short days to harvest intervals. 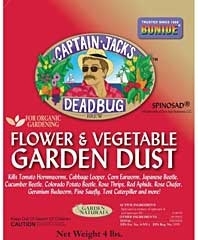 Captain Jack's Dead Bug Brew Dust. A dust version of Captain Jack's tremendously successful Dead Bug Brew products. Contains all natural spinosad. Wide range of insect control. Ready to use dust formulation that is perfect for vegetable or flower garden spot treatment. For Organic Gardening. Kills more bugs in more places than other leading brands. Broadcast spectrum of control, ready to use and excellent coverage. 10lbs covers up to 4,292 sq. ft.
Bonide Neem Oil Conc 16 oz. 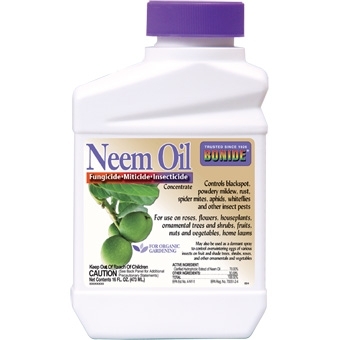 Neem Oil 70% Pint Concentrate. Insecticide, Miticide, and Fungicide. Controls blackspot, powdery mildew, rust, spider mites, aphids, whiteflies and other insects. 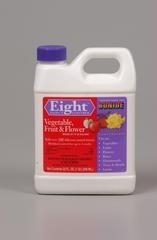 For use on roses, flowers, houseplants, ornamentals, fruits, and vegetables. Approved for Organic Gardening. 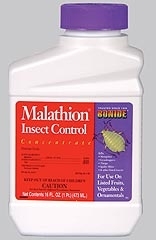 Malathion 5 EC is an emulsifiable concentrate designed for use as a spray to control various pests injurious to trees, turf and ornamental plants. This product is compatible with insecticides, miticides, and fungicides commonly recommended except for alkaline materials such as Bordeaux mixture and lime. 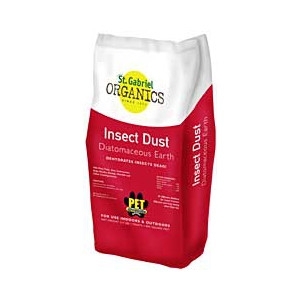 St. Gabriel Laboratories' Insect Dust is 100% Diatomaceous earth, and is used to control numerous pests; including ants, fleas and ticks. Diatomaceous earth has been used in Asia to control insects for 400 years. Safe for use indoors around kitchen cupboards and pantries as well as outdoor use along foundations and in the yard and garden. Coverage 1800 sq.ft. 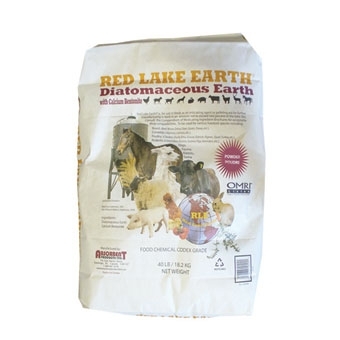 *Also available: Diatomaceous Earth with Calcium Bentonite 40lb. 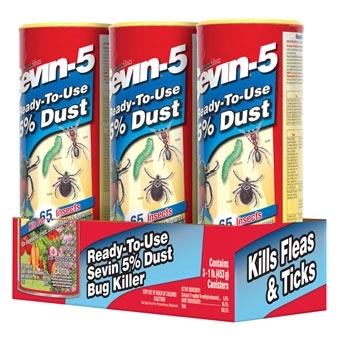 Take care of pests in your garden with Gardentech Sevin-5 Ready To Use 5% Dust Bug Killer. This special dust formula is designed to be used specifically with vegetables, fruits, ornamentals and lawns. Guaranteed to kill over 65 types of insects, keeping your garden fresh and healthy. 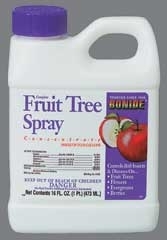 Kills over 65 insects, safe for use on fruits and vegetables. For indoor and outdoor use. Makes up to 6 Gallons. Controls Ants, Bees, Centipedes, Carpet Beetles, Cockroaches, Fleas, Flies, Mosquitoes, Scorpions, Silverfish, Spiders, Ticks & Wasps. Mister k insect dispenser is great for killing nuisance flies, gnats, flying moths and mosquitoes. Automist insect killer which kill flies, gnats, flying moths, and mosquitoes. Permethrin 0.02 percent; Controls over 100 different insect pests on vegetables, fruits, roses, flowers, lawns, shrubs, trees, over 60 varieties of ornamentals, and house plants. No odor, water based, indoor/outdoor. Deltamethrin 0.02 percent; New, advanced third generation pyrethroid technology. Quick acting, long lasting (4 months). Odorless and water based. Great for indoor and outdoor control of any biting, stinging, flying, crawling, chewing, rasping, buzzing little nuisance bugs. Insects coming to rest on treated surfaces will be killed. Not for sale in RI. 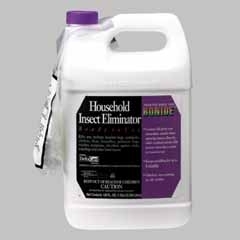 Bonide Household Insect Control RTU 32 oz. Permethrin 2.5 percent; Provides economical, user and environmentally friendly contact and residual insect control for up to 4 weeks. Kills over 100 insects which destroy lawns, roses, flowers, trees, shrubs, vegetables, fruit, nuts, and may be applied to homes and other areas to stop infestations of flies, ticks, fleas, mosquitoes, ants, all flying, crawling and hopping insects. Even great for houseplants! Cythion) - 50.0 percent; Labeled for use on fruits, vegetables, ornamentals, houseplants. One pt. makes 50 gals. of spray. 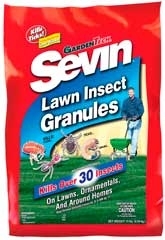 GardenTech Sevin Bug Killer Conc 16 oz. Use on vegetables, fruits, ornamentals and lawns. Enough concentrate to last an entire growing season. Kills over 100 insect pests. 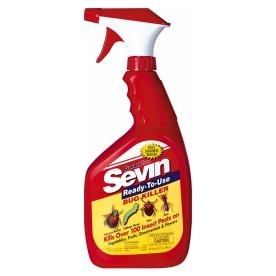 GardenTech Sevin Ready-To-Use Bug Killer 32 oz. Convenient, no mixing formula. Ideal for quick, easy applications. Perfect for smaller yards, gardens and hanging baskets. Kills over 100 insect pests.